We’re hard at work putting together programming for our second annual event in Calgary, Alberta. In the meantime, get familiar with everything on offer this November – here’s six reasons to come down and take it all in. AEMCON is proud to be hosting a comprehensive suite of workshops for all stripes, from the uninitiated to the established musician. 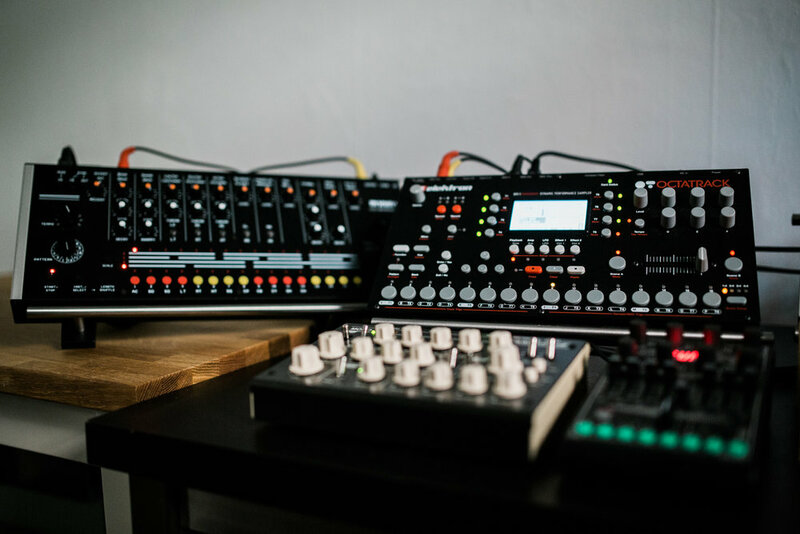 Ranging from the practical (‘Becoming an Export Ready Artist’) to the theoretical (History of Synthesis), savants of the scene will be sharing a sizeable selection of secrets. We even have an effects pedal-building workshop at the event! Iconic brands like Roland, Kilpatrick Audio, PK Sound, Meeblip and more have also given AEMCON their vote of confidence, bringing their most cutting-edge tech to show off and sell. Attendees from all over Canada (and the globe!) will be gathering at Studio Bell, home of the National Music Centre to take in a wide range of programming. Between the intense amounts of industry insight coming from our daytime workshops and the corresponding pressure release of our nighttime parties, you’re guaranteed to make new and inspiring friendships. Beatport and THUMP have both already heralded Calgary as one of the world’s greatest up-and-coming electronic scenes – why not come see what the fuss is all about? The world-class talent rolling through the city in November is just a microcosm of what’s on offer year-round. Confirmed venues so far include the Hi-Fi club, Habitat, Night Owl, Broken City, and more. Your AEMCON pass gets you into all associated night events for free. Calgary’s is something of an incubator for world-class talent, with diverse names such as Kiesza, Mark Instinct, Dan Dakota, Sergio Levels, Neighbour, Smalltown DJs, Simon Doty, HomeSick and KLOVES all hailing from the city. AEMCON aims to bring the best and brightest in North America together, in the hopes that you’ll forge connections that inspire you to create your best work. As the most stunning and comprehensive facility of its kind in the country, Studio Bell is home to hundreds of storied artifacts, one of Canada's largest synth library, and a veritable encyclopedia of musical history suited to those of all ages and vocations. Not to mention it's also a fully operational, world-class recording studio. It’s an architectural wonder that’s correspondingly bursting with inspiration and ideas. But don’t take our word for it. Come take in absolutely everything on offer in November. Get your tickets here.